Anna Thurman's work-at-home journey started with surveys, writing articles, and working online for sites like ChaCha. Through these side hustles, she was able to replace the income she had previously earned outside the home. But even though she was earning a steady income, she was amazed at what was going on in the work-at-home niche and decided to start her own blog, Real Ways to Earn Money Online. 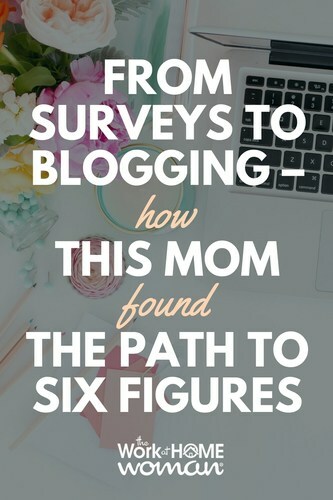 Read on to find out how this mom went from making $50 a month with surveys to six figures a year with blogging! Tell Us About Your Home-Based Entrepreneurial Journey. I was always interested in working from home, even before I became a mother. I first started casually looking in 2004, but back then the internet was littered with work from home scams, and I felt skeptical of everything I came across. I had a 9 to 5 job at that time, so I just kept at it until I did become a mom in 2006. Then, I started looking more seriously. In the beginning, I was clueless like most people. I had no idea what to search for or what I would be good at. I started off doing some paid surveys for extra cash. This netted me maybe $50 per month, but I was proud to get it. Eventually, I found a few things that were a lot more lucrative – answering questions for ChaCha, freelance writing for Textbroker, Demand Studios, and Wisegeek. In addition to writing for the sites listed above, I also took on a few private clients, and suddenly I was making about as much money from home as I had ever made working outside the home. Of all the things I tried (and I tried a lot! ), I found freelance writing to be the best option for me because it was flexible and I enjoyed it. Even though I was making steady money writing, I still kept tabs on the work from home community. I visited blogs, forums, and several work-at-home websites all the time just to see what was new. I was amazed by all the opportunities there were, and so I decided to start my blog: Real Ways to Earn Money Online. I began researching and writing about various companies that offered legit work from home. I kept it up, and the rest was history. I never started my blog thinking it would eventually be my primary source of income. In fact, I never started it with the intention of making money at all! But that is what happened. Posting regularly helps! Google loves fresh content. I try to publish a new post at least twice each week. I’m also very active on social media. Every time I write something, I share it on Facebook, Twitter, and Pinterest. I also make sure my newsletter subscribers know about my new posts and include links to them in every newsletter I send. I make every effort to create quality content each time I write a post to ensure that it will get shared by my current followers. This has been pretty effective so far as well. In the beginning, before I had a social media following, I held some small giveaways and posted the links on popular giveaway sites like Online-Sweepstakes. I knew from my experience entering sweepstakes that a lot of the people in the sweepstakes community were very interested in working from home, so I figured I’d get a few regular readers that way, and it worked! What is Your Number One Source of Traffic? Most of my traffic comes from Google. As far as social media traffic is concerned, Pinterest is number one. What Types of Monetization Strategies Work Best For You? The majority of my income is from affiliate marketing. In the past, I earned the most from ad networks, but affiliate opportunities have overtaken that, which I’m very happy about. I love affiliate marketing because I have more control over it — I choose what I want to promote and how much. I’m careful only to promote opportunities that I know would appeal to my readers, and I always write about these opportunities honestly. I regularly identify which opportunities are earning the best for me, and then I make sure those affiliate links are present on the most popular pages of my blog, or any posts that are relevant to those opportunities. For example, there is a course on learning transcription that does pretty well for me, and I review a lot of work-at-home transcription opportunities. So I’ve made sure that an affiliate link to that particular course is on all of my posts about transcription. Also, I make sure all my newsletters have at least one affiliate link inside them. My newsletter is my most valuable asset because these are readers I’ve already built trust with. As a result, any opportunities I share inside it that I also have an affiliate link for tend to do pretty well. It’s much more effective than just putting a link inside a random blog post and hoping for the best. How Did You Take Your Blog to The Next Level? The first real turning point for me was when I moved my blog from a free Blogger account to self-hosted WordPress. I did this after my blog had been in existence for eight or nine months. I don’t know why, but for some reason, my traffic more than doubled in the next month, and I went from making about $2 a month to making $30 a month. I know that doesn’t sound like much, but it was the moment when I began to see that running my website could possibly turn into more than just something I did for fun. I was so excited to be able to make actual money doing something I felt so passionate about. It was also around this time that I created a Facebook Page for my blog, started actively networking with other bloggers in my niche and began submitting some guest posts. All of these things helped me, and I felt like kicking myself for not doing them months before. Another thing I did after almost two years of blogging that I really wish I had done from the beginning was start a weekly newsletter. This was a game-changer. It helps to keep my traffic hopping and my income up because, as I said previously, those subscribers are my most loyal readers. They’ll visit the site again and again and are more likely to trust my recommendations. How Do You Minimize Income Peaks and Valleys? I keep my income pretty stable month to month by having a lot of “eggs” in my basket. My blog earns in a variety of ways — affiliate opportunities, AdThrive (the only ad network I currently use), working directly with advertisers, and also a little bit from sales of my work at home e-books. All of these little “eggs” are essential because if my income drops off from one source, I can just focus more on boosting another. I learned the hard way how important it is to have lots of different income sources. In the beginning, I mostly relied on Google Adsense for my income and didn’t do any affiliate marketing. For me, my Adsense earnings were 100% reliant on my traffic. Good traffic meant good ad earnings, bad traffic meant my income would drop. Google changes their algorithms quite regularly, and something happened one month after a year or two of my blog’s existence where my traffic dropped by about half. As a result, my income did too! Thankfully, traffic picked back up after a month or so, but I had learned my lesson. I immediately started trying to branch out and find other ways for my blog to earn. While it’s still not a good thing to see a drop in traffic, I don’t panic as much about it as I used to because I earn well from affiliate opportunities. You can make good money with affiliates even without tons of traffic because these opportunities have more to do with your reader’s trust in you than they do traffic numbers. How Much Does Your Blog Earn Annually? It earns six figures yearly. I had my first six-figure year in 2015, and it has continued to increase each year. It really amazes me! Especially considering that I only started Real Ways to Earn as a hobby and made next to nothing that first year. To say that it has been life-changing is an understatement, and I feel extremely blessed and grateful that I can earn a good living doing something I truly enjoy. What Advice Would You Give to an Individual Who Wants to be a Career Blogger? I know it’s been said time and time again, but I cannot stress enough the importance of blogging about something you’re actively interested in and very passionate about. I would never have continued with my blog if I hadn’t been looking for work from home myself and didn’t find the subject so fascinating. 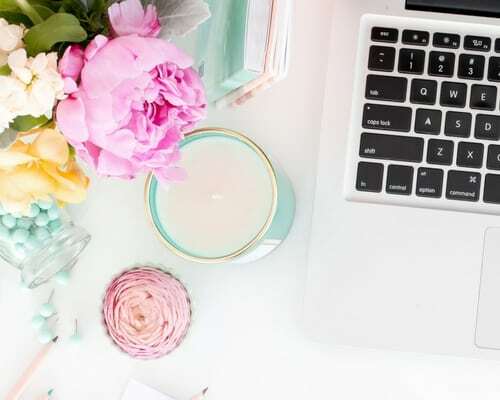 Even though most of my income now comes from my blog, I still get very excited to discover new ways to work from home, and I love sharing the info with others. It makes me happy to think I might be helping someone. It can take a long, long time to make money with a blog. That’s why it’s important to start a blog on a topic near and dear to your heart. If you start a blog for no reason other than to make money and you find yourself writing about things you don’t care about, you’ll give up quickly because the money is slow to come in. It’s hard to find the patience to write about things you don’t care about if you’re not getting paid to do it. I’d also recommend posting new blog posts consistently. You can’t post five times one week and then drop back to once or twice for the rest of the month and expect to gain regular readers. People need to know they’re going to see regular content from you. If they don’t, they’ll eventually stop visiting. As a Busy Mom and Entrepreneur, How Do You Manage All of Your Personal and Business Activities? I’ve fallen into the routine of working and getting most of my housework done when my kids are gone to school each day. And as soon as they’re home, work pretty much stops and it’s family time again. All emails and other blog responsibilities can wait until the next morning. I also do very little blogging work on the weekends unless it’s something pressing that cannot wait. During the summer months when the kids are at home, they tend to sleep later, and I let them. I make sure I don’t sleep late and get up around 6 AM to do as much as I can until it’s time for them to get up. This has worked out well for me, but it honestly took several years before I fell into a good work schedule. I used to have a difficult time unplugging from my blog and would catch myself working on it in the evenings and at night when I should be doing other things. 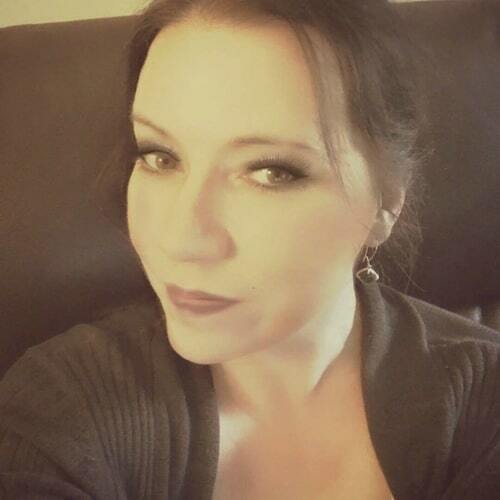 Thanks to Anna Thurman of Real Ways to Earn Money Online for sharing her story! Originally published October 14, 2013. Content updated April 2, 2018. Can anyone offer a suggestion to a retired Registered Nurse looking for online supplemental income? It’s impossible to live on Social Security alone. Glad you enjoyed Anna’s interview, Jenny!